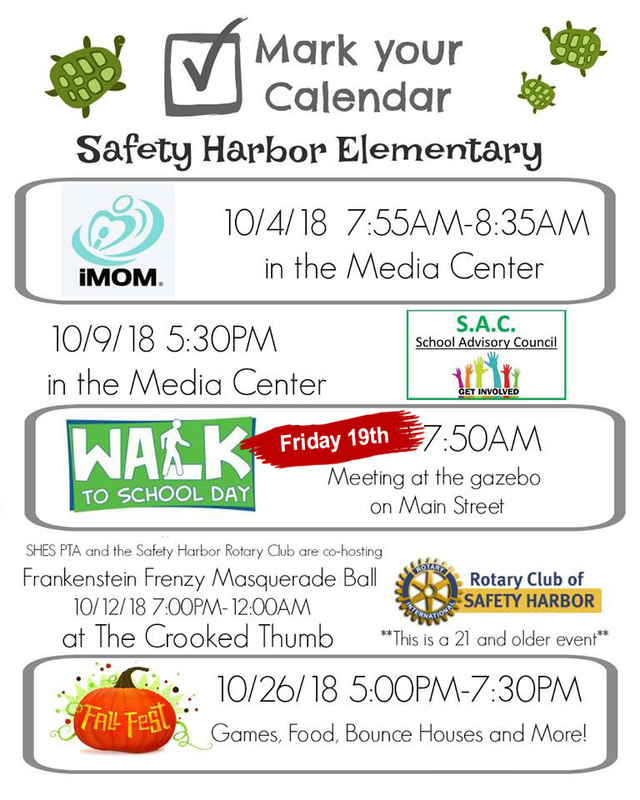 Family please join our Safety Harbor Elementary Sea Turtles for an inspiring evening Showcase of Science, Technology, Engineering, Art and Mathematics. As you may know, SHES PTA is currently considering board nominations for the 2019-2020 school year. We must have an elected board in place to begin the upcoming school year in good standing with our county and state PTAs. Without PTA, events such as Back-to-School Bingo, Fall Fest and Wonderland Holiday Shoppe would simply not exist. Please consider nominating yourself or another registered volunteer for a board position. 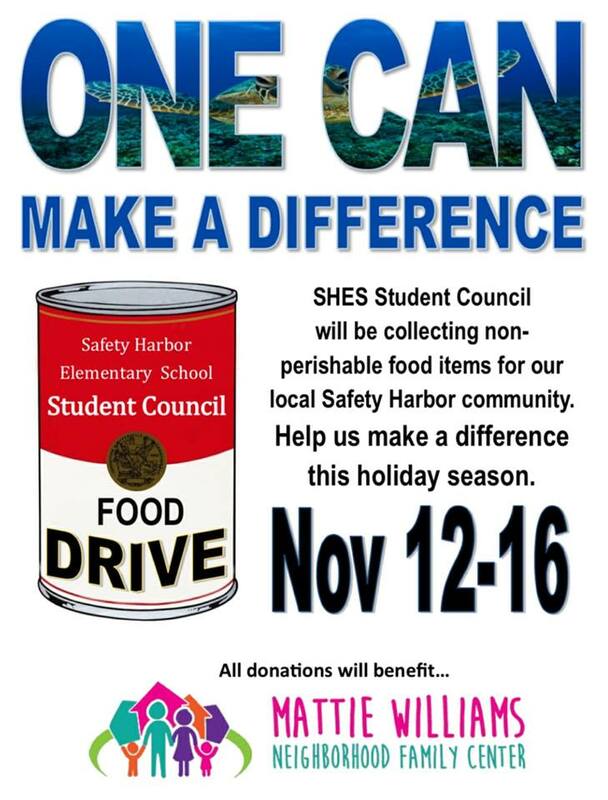 It's a great way to get involved, meet other families and give back to our amazing SHES family. Below are just a few quotes from current board members about why they enjoy their role on the board. We are looking for people who would be interested in being on our PTA board for next year. SHES PTA is looking for parent, family or friend volunteers who are interested in joining the PTA board for the 2019-2020 school year. Board participation is a terrific way to meet other SHES families, get involved, and positively impact our school. If you are interested or know someone who would be a great fit for any of the positions below, please fill out the nomination form on the back (it's ok to nominate yourself!) and return to school by 3/20/19. Please email the nomination committee with any questions you have and we will be happy to answer them or put you in touch with past board members who can! These four positions must be filled for our school to have a PTA. President: Coordinates and oversees officers and committees, presides at PTA meetings, attends PTA district and county council meetings, and works closely with the principal. VP (Organization): Responsible for coordinating the annual membership campaign. VP (Programs): Responsible for implementing PTA parent education programs including: Walk-to-School, Bingo for Books, All Pro Dads, and iMoms. VP (Ways and Means): Oversees and supports committee chairs in charge of fundraisers including Fall Fest and Jog-a-thon. VP (Communications): Promotes PTA activities and programs through flyers, our website and our Facebook page. Treasurer: Oversees the annual budget and keeps permanent books of all monetary transactions. Board membership is family-friendly (kids are welcome at monthly meetings) and some positions can be done from home as schedules permit. Training is provided at the Summer Leadership Convention in July. We look forward to hearing from our many talented SHES families! 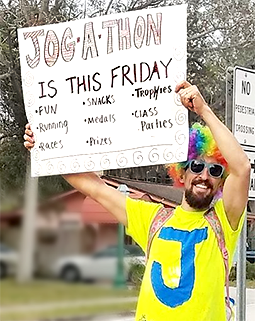 SHES JOG-A-THON will be on Friday February 15th this year! Mr. J and the PE team could use some volunteers. Students will jog during their PE time. Volunteers are needed to assist with set up, handing out snacks, passing out sticks to classes, marking sticks during the running, and data collection. You can come for an hour or you can stay all day….we can use whatever assistance you can offer! If you are interested and available please email us or stop at office and let us know the time you can come in. Come and join us for fun, relaxing evening Thursday January 31st for Math Family Night for all K-5th Grade Parents & Students. 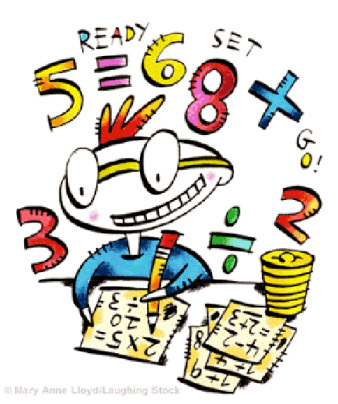 Learn how to help and/or challenge your child in Math. This event will also serve as one of our PTA General Meeting. WHO: All Pre-K through 5th grade families are invited. WHAT: Families will learn to play math games and take home materials to continue to play and practice at home. 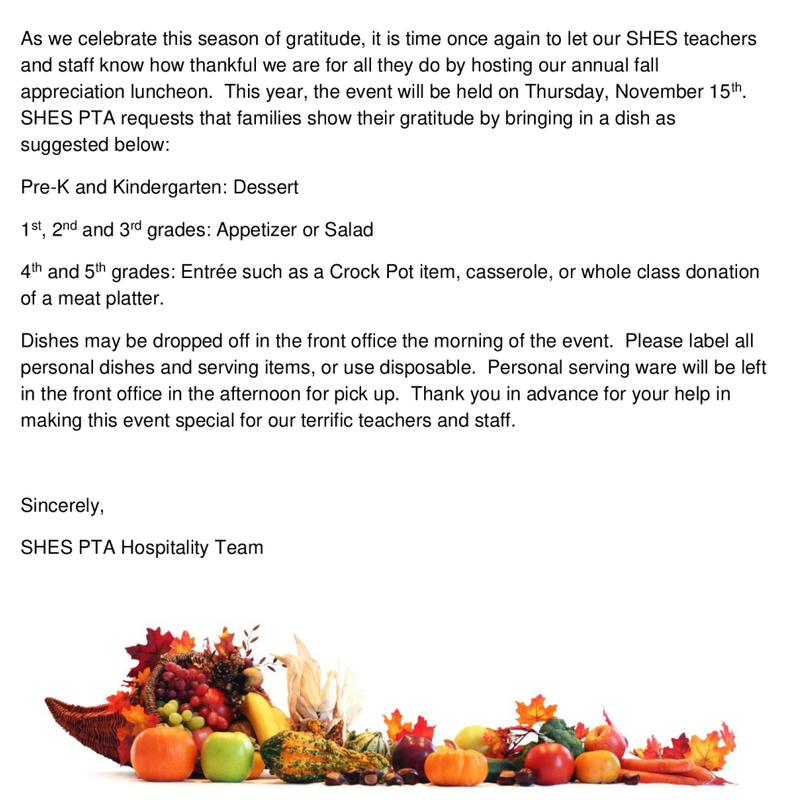 Baked ziti and salad dinner catered by Paul's Chicago Pizza and sponsored by SHES PTA! Join us for a night of delicious food and fun learning! 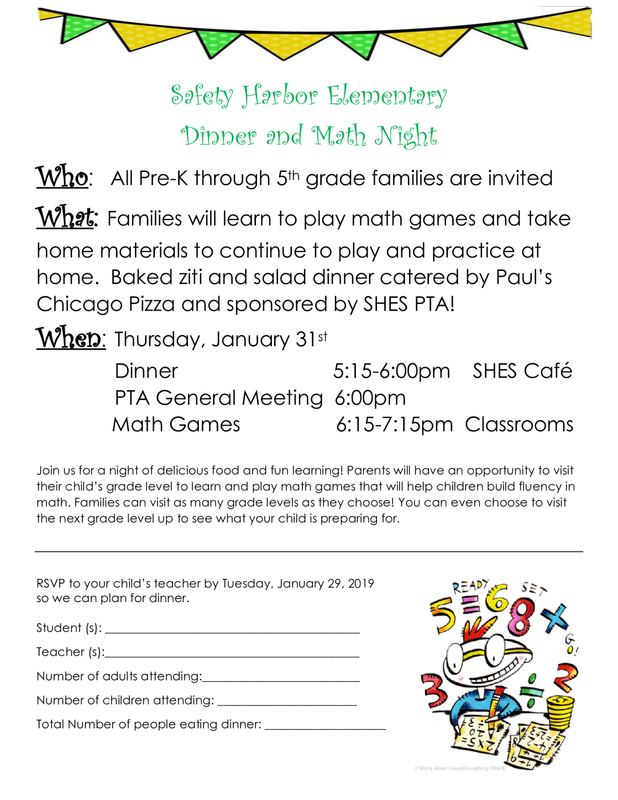 Parents will have an opportunity to visit their child's grade level to learn and play math games that will help children build fluency in math. Families can visit as many grade levels as they choose! You can even choose to visit the next grade level up to see what your child ispreparing for. Veterans, Retired and Active Duty Family members and your students are invited to our Veteran's Day breakfast sponsored by the SHES PTA. At SHES - November 9 2018 @ 8:00 AM. 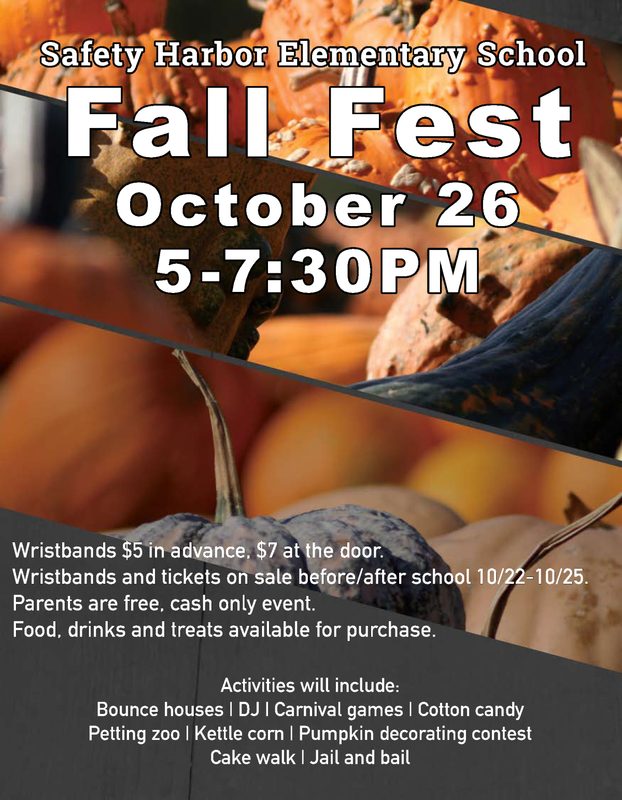 Thank you everyone for attending Fall Fest, the weather was perfect! Everyone had a blast!!! A huge THANK YOU to Valerie Brown and Kristen Penna for taking it on again this year, your hard work for this event is very appreciated by the entire school. Thank you to all the Volunteers and teachers, we can not do these events without you! We appreciate you taking the time to help!! Also we are SO VERY thankful for our sponsors! Wristbands will be sold at both gates in the morning and afternoons Monday - Thursday and Friday morning! Step 4: Create a username, password, and enter e-mail address. click on the link to redirect you back to the fundraising site. Step 6: Login using the user name and password you created. repeat this step if you have more than 1 student. and friends or just provide them with the student id #. enter the student id # you provided them. Please e-mail shespta1@gmail.com with further questions. Thank you for supporting your SHES PTA!! Come Get The Scoop On Reading! Get the scoop on Reading and join us for some learning and ice cream sundaes on the evening of Thursday, September 27th for this fun event. All students and parents are invited to join their teachers to find out how to grow your child as a reader and visit the Media Center to learn about our exciting Reading Counts Program! On Wednesday, September 26th, Pinellas County School District will be celebrating Dads Take Your Child to School Day. This is a statewide initiative of the Florida Department of Education. Safety Harbor Elementary would like to invite our Fathers, stepfathers, grandfathers, uncles, brothers, foster care fathers, and any other male role models to bring their children to school and have breakfast with them on Wednesday. Breakfast for students is free and the cost for an adult breakfast is $2.25. As usual, any visitor must first sign-in at the front office and have proper identification prior to entering campus. Learn information about the up and coming school year. Have any questions you have answered. September 6, 2108 @ 6:30 PM in cafeteria. Hope to see everyone on Thursday! Come meet our Principal Ms. Palmer, and our new PTA board to learn about all the great things SHES and SHES PTA have in store for the 2018-2019 school year. 6:45 - 7:30 Bingo for Books! Please download and return RSVP (below) to your teacher by August 29th.